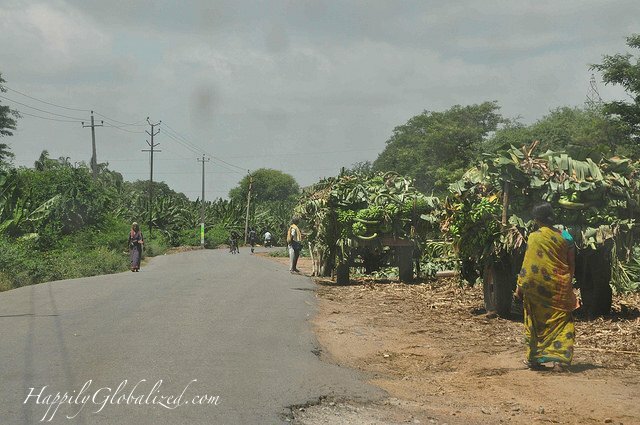 After recent numerous conversations with people heading to India for the first time I realized that travel expectations of many first-time visitors of India are heavily skewed towards North Indian sights – and I myself was no exception a few years ago. You are unlikely to find a person who has never heard of or has never seen images of Taj Mahal – but ask the same person to name at least one temple from the South, and you might hear nothing but a puzzled silence in return. 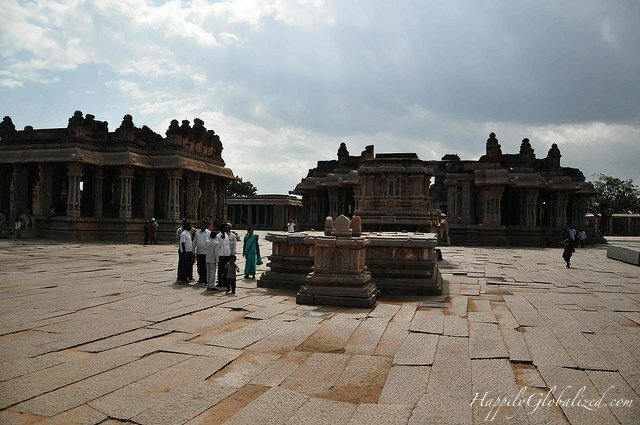 South India is a paradise for a traveler – it is full of historical and spiritual jewels. I would like to take you on a short visual journey through one of them, a UNESCO world heritage Hampi – a magnificent 700 year old capital of the Hindu Empire Vijayanagar, which was the original name of Hampi, and which literally means “City of Victory”. It lies in Karnataka and it will take you about 7-8 hours from Bangalore or Goa to reach it by train or by bus. 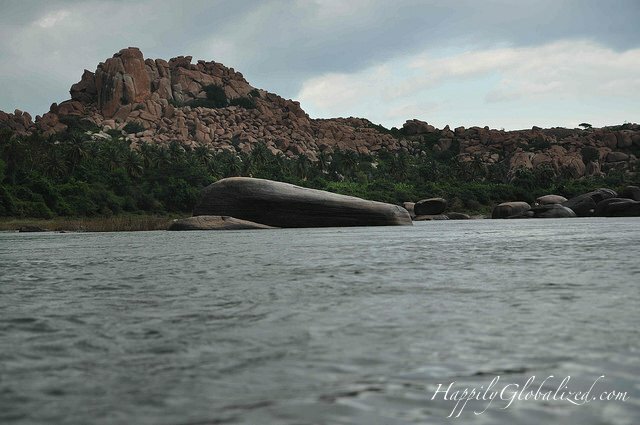 If you don’t have a couple of days spared to visit Hampi, make sure to find them! The Vijayanagar Empire ruled South India between 14 and 16 AD and its times were marked with numerous wars with muslim rulers, known as Deccan sultanates. Eventually the Empire was defeated by the invaders from the North and put to ruins, which remained till now and still demonstrate its wealth and religious heritage. 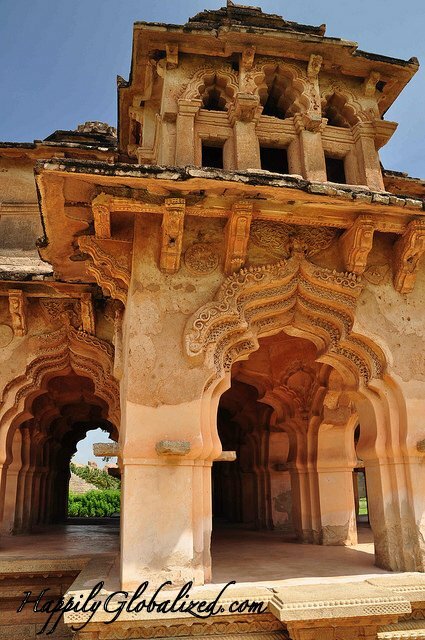 Hampi is spread across 26km² and comprises of about 1600 remains which include numerous temples and sacred complexes, forts, market streets (where diamonds were sold), chariots, palaces and other breathtaking monumental structures. The sight of capital was so grand that Portuguese travellers compared it with Rome in its architectural beauty and royalty. Hampi was know for promoting Hindu religion as a unifying factor and it was celebrated through stunning sacred complexes and temples. 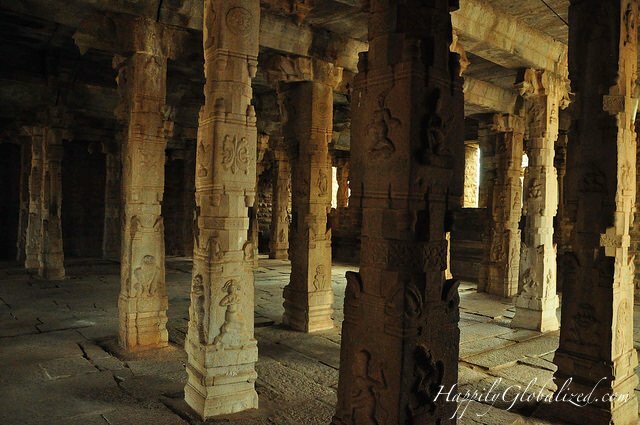 To explore and fully enjoy Hampi you would need to spend there several days, get lost in the ruins and feel the power and spirituality of this magnificent place. 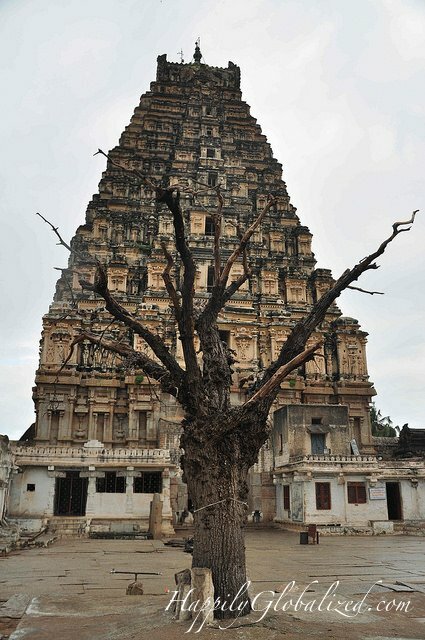 It is not just archeological monuments which contribute to a unique beauty of Hampi – the architectural wonders are framed by lush greenery, mango trees and palms. Travellers who visited Hampi during its golden ages were stunned not only by its wealth and architecture, but also by its engineering innovation – you will be surprised to know that Hampi has been studied as a role model for a sustainable water supply for modern Indian cities. 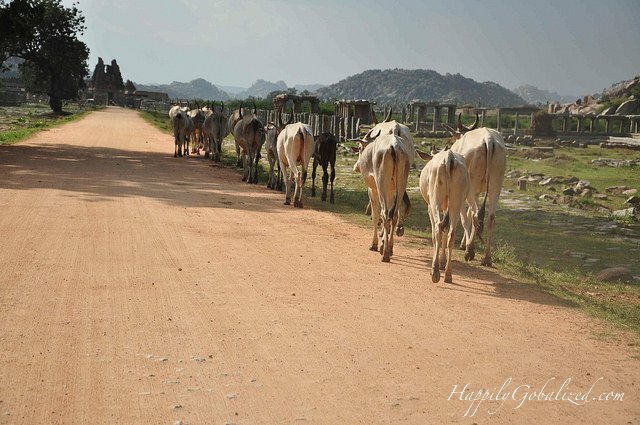 It is not just tourists who are frequent visitors to Hampi – besides being surrounded by cows, which is not that uncommon in India, be prepared to get attacked by monkeys if you carry food around with you. It is said that even leopards and crocodiles can also be seen in the area (especially in the night), but I haven’t heard about such unexpected encounters from anyone in reality. A sight of some of the 185 exotic species of birds which are living in Hampi would make happy any nature lover. And here is a beautiful video by Mahesh Telkar to give you a feeling of Hampi in 3 minutes. My pleasure! You’ve got a gorgeous visual story and I’m sure many people found it useful for their own travels!